I’m back from my honeymoon now, and you’ll be glad to hear that I gained loads of inspiration from our holiday in Kos. Kos is a self-sufficient island outside tourist season (when the population more than triples) and so they grow a huge amount of beautiful, fresh fruit and vegetables. The Aegean sea is teeming with all sorts of delicious seafood and on every hillside there are sheep and goats, from whose milk is made rich, salty feta. I’m going to start tonight with a staple which we ate almost every night (usually alongside a main dish, but I’m serving it by its own merit tonight). We need it today because it’s healthy, and after the free bar we need a bit of a detox! I hope you enjoy it – I’ve tried to make it as authentic to Kos as possible. This will serve at least 4 and takes 20-30 minutes to prepare. 1. 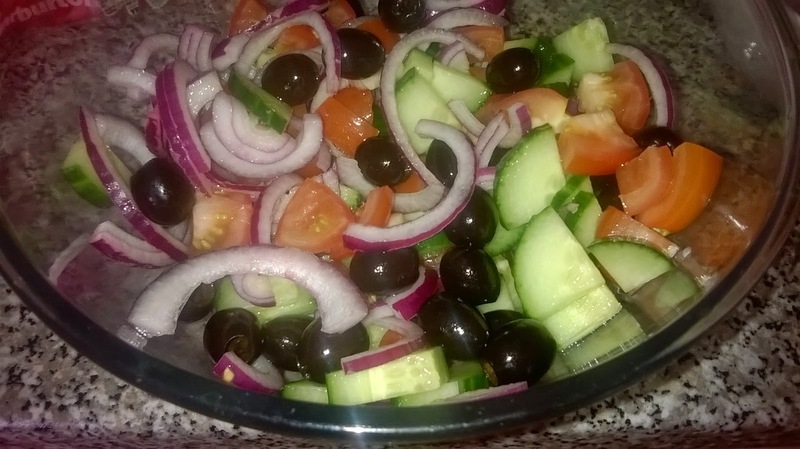 For the salad, chop the tomatoes into small chunks and thinly slice the cucumber and red onion. Tip into a bowl with the olives and mix. Squeeze in the juice of half a lemon. 2. For the tzatziki, peel the cucumber and thinly slice. Put it in a colander and sprinkle over the salt, and leave for a few minutes over the sink. 3. Meanwhile, for the baked feta, put the feta on a large sheet of baking parchment on a baking tray and top with the olive oil and thyme. Scrunch the baking parchment loosely around it and pop in the oven at 160 degrees for 5-10 minutes, until softened and warm. 4. 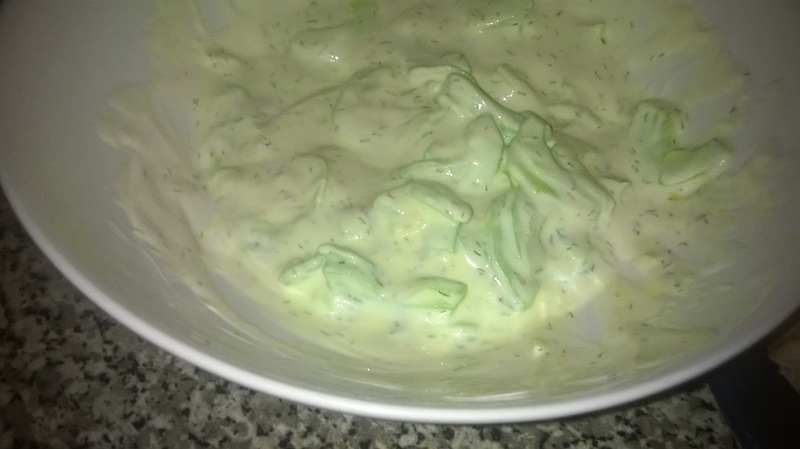 Back to the tzatziki – tip the cucumber into a bowl and pour over the olive oil. Finely chop the garlic and add to the bowl, then squeeze in the lemon juice. 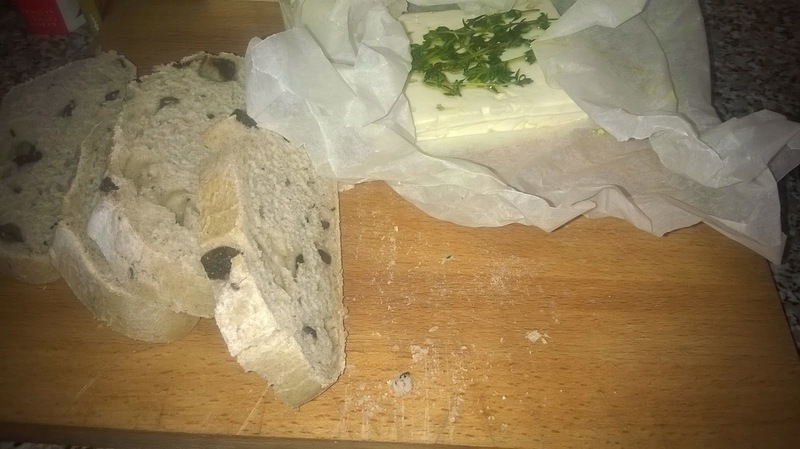 Pour in the yoghurt and dill; mix. Have a taste and adjust the levels of salt/lemon juice if needed. 5. Let everyone help themselves! Grad a hunk of bread and pile it up with salad, soft feta and top with the cooling tzatziki. This is my favorite salad. I love it too! Delicious, isn’t it? Hello! I’m not Greek, but absolutely love Greek food – I could eat feta all day! We had our honeymoon on Kos and loved it so much we’re going back again this summer – can’t wait! Our favorite is Mykonos. But have also been to Crete and other places. I love Greece.